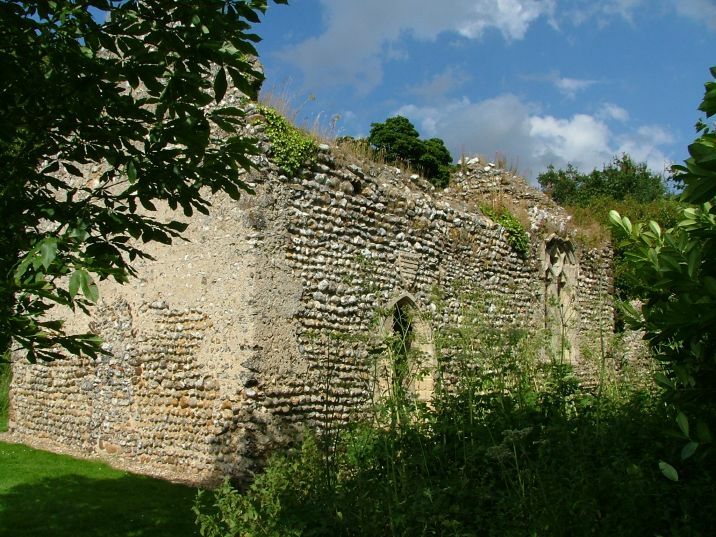 Mannington is in the heart of East Anglia's greatest concentration of big country houses - most villages around here huddle in the contours of what were the parks and woods of the landed and seriously rich, and must once have been in their patronage. 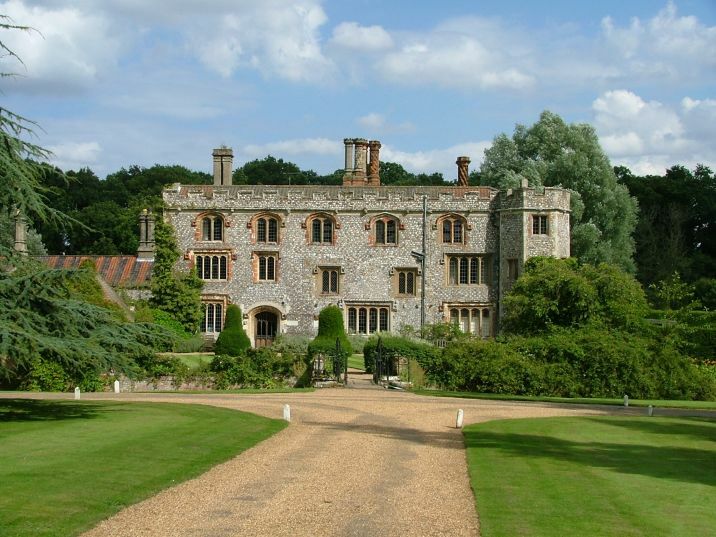 Blickling, Gunton, Felbrigg and Hanworth are all with in the ride of a hunt. 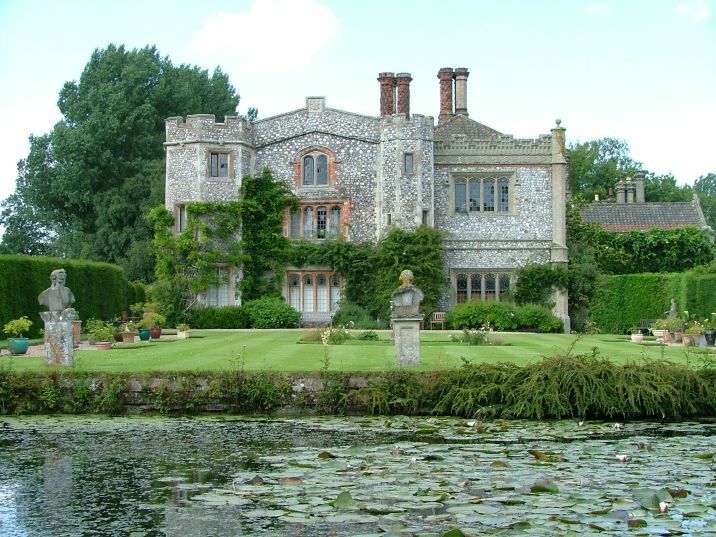 Mannington Hall is smaller than some, but looks very dramatic within its moat and surrounded by its manicured gardens. The core of it is 15th century (Margaret Paston knew it well) but the 1870s refurbishment (Pevsner, disapprovingly, says that it was much interfered with) gives it rather a Scottish Baronial feel, as if it would be at home in the hills of Argyll. I liked it a lot. Although the concentration of medieval churches here between Cromer and Aylsham isn't anything like as thick as on the other side of Norwich (the parishes are bigger here) there are still loads of them, and once the Reformation came along there were far more than was needed for the new congregational protestant worship. 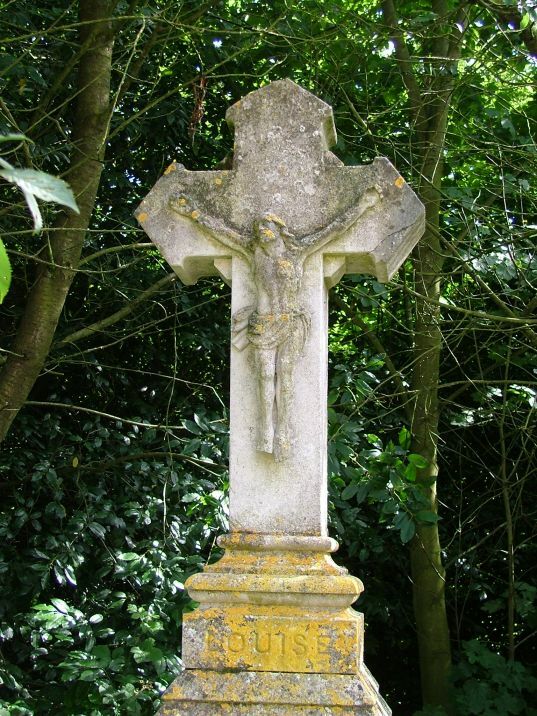 In 1780, Mannington's living was combined with that of the parish church of Itteringham, half a mile away across the fields, creating a joint parish. Some churches which fell into disuse became mausoleums for the local Big Family, and this is what seems to have happened here. 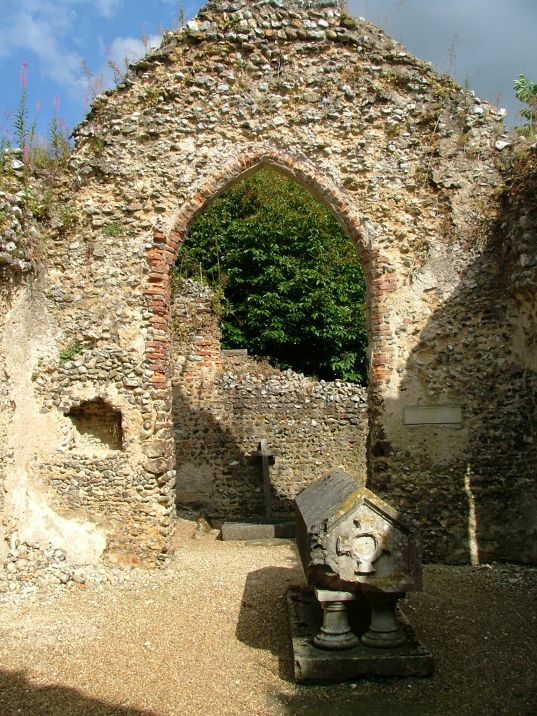 As late as the 19th century, the Earls of Orford were putting their memorials in here, and the Earl who did up the house made a feature of St Mary, surrounding it with ecclesiastical junk which he had collected elsewhere, which is at once impressive and amusing. 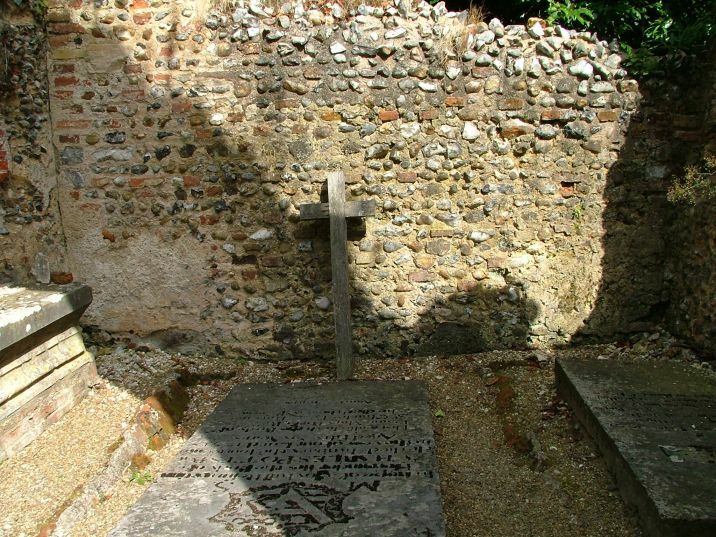 He even installed his own memorial, but apparently he was buried at Itteringham, a couple of miles off. Today, all that remains is a well-maintained shell, curiously unatmospheric despite being the glowering trees that make taking photographs from the outside very difficult. 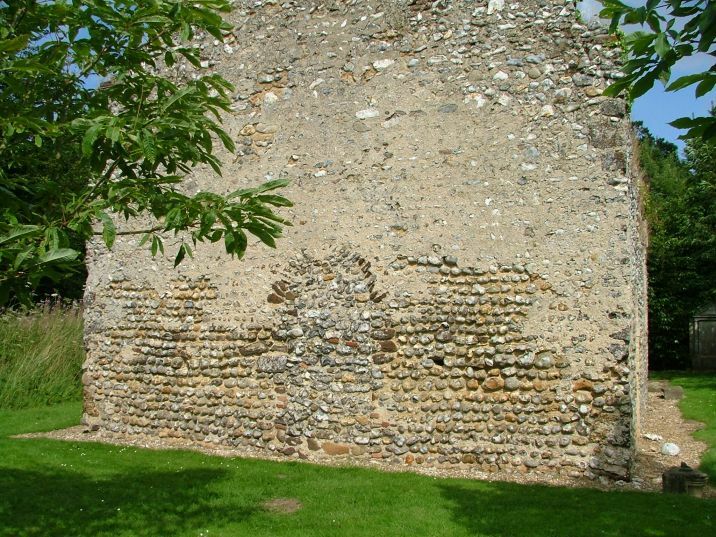 The features are a combination of Early English and Perpendicular, but there is a blocked doorway in the west wall which appears to have been Norman. Was there ever a tower here, I wonder, and was this actually the tower arch rather than a doorway? Jonathan Neville's wholly excellent Itteringham website reminds us that in the 1831 census, when many Norfolk parishes were reaching their peak population, Mannington had just 13 residents. 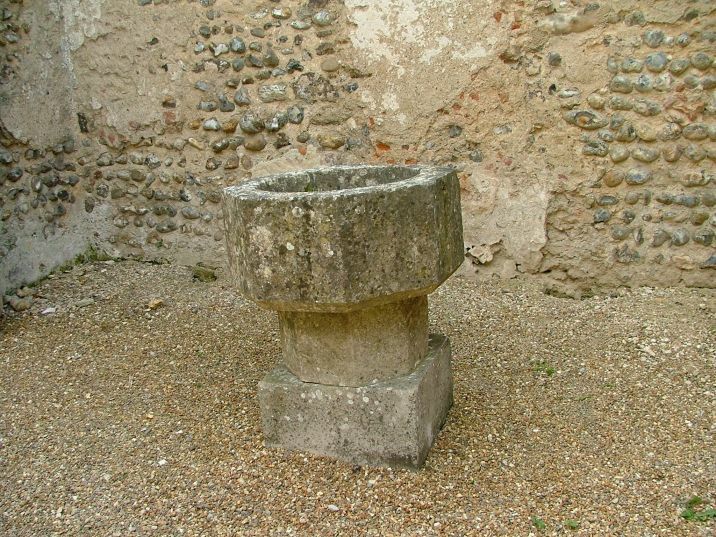 However, Jonathan tells me that, ruin as it was even then, it continued to be used, and a Baptism took place as recently as 1982. It still hosts the occasional special service today. 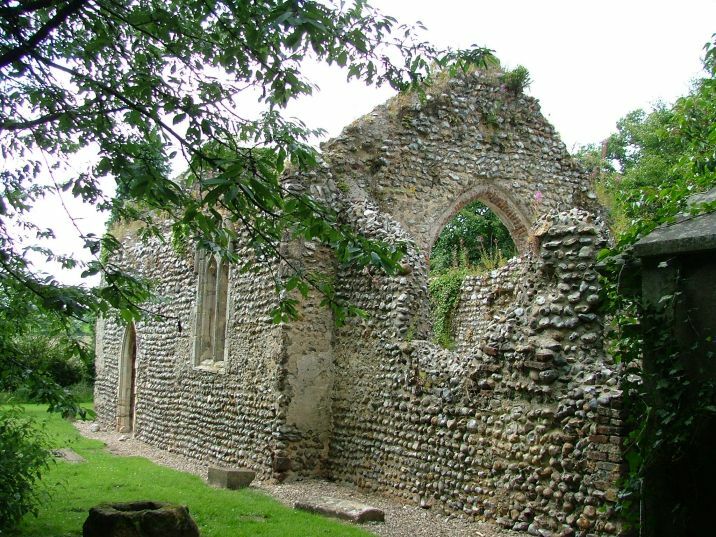 Mannington Hall gardens are open to the public, and although the ruin of the church is set on the other side of the road from the Hall you are supposed to pay the entry fee to visit the church as well. 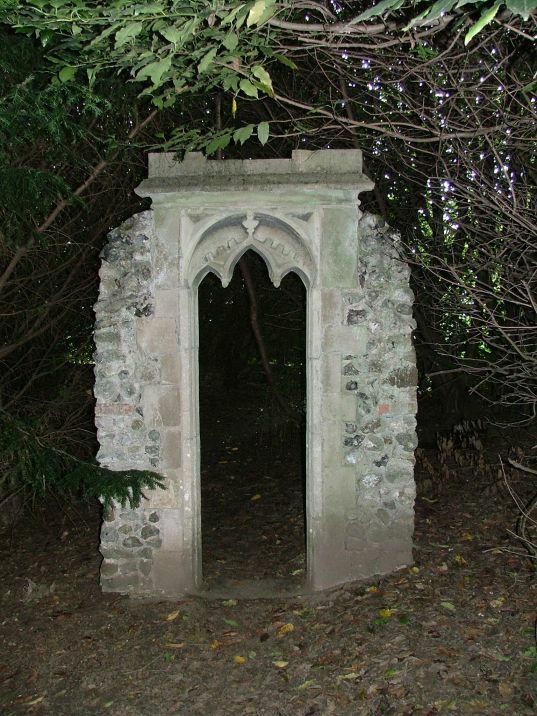 Because of this, it is well-signposted; you walk along a pathway from the gate at the road, through what appears to be a piece of window tracery that now forms an entrance to the ruin and there it is. 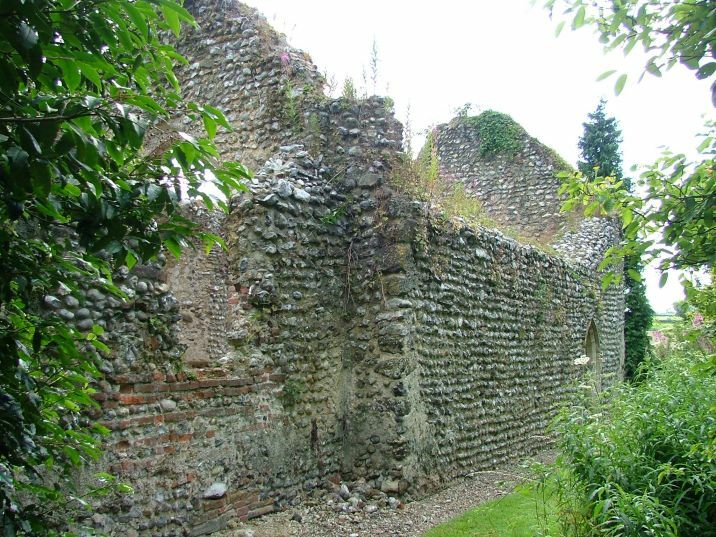 The ruin itself is completely safe, the flint walls repointed and the internal floor being filled with crunchy gravel. You enter through the south doorway, and inside is a rather wonky font which may or may not have come from here, and some Orford memorials. It is an interesting place to stop and pause for a moment, but it's almost impossible to conjure up in your mind medieval days. This is a ruin that is unlikely to haunt your imagination.